The elections office in Potter County, Texas, knew they had a problem after the 2016 Presidential election. Potter County’s population has grown increasingly diverse. Of its 122,000 residents, 37 percent are Hispanic and 5 percent are Asian, including a large number of Vietnamese and Laotian speakers. The county also has a wide distribution of African languages. One school in the county has a student body that speaks 60 languages. About 9 percent of the county’s multicultural population is considered limited English proficient, meaning they speak English “less than very well” and are entitled to assistance. Potter County turned to an innovative solution in an effort to provide equal access to the voting process for its diverse voter population. For the upcoming election, they have implemented LanguageLine InSight Video Interpreting, a solution that delivers live on-demand interpretation in 36 languages (including American Sign Language) as well as audio-only interpretation in more than 240 languages. 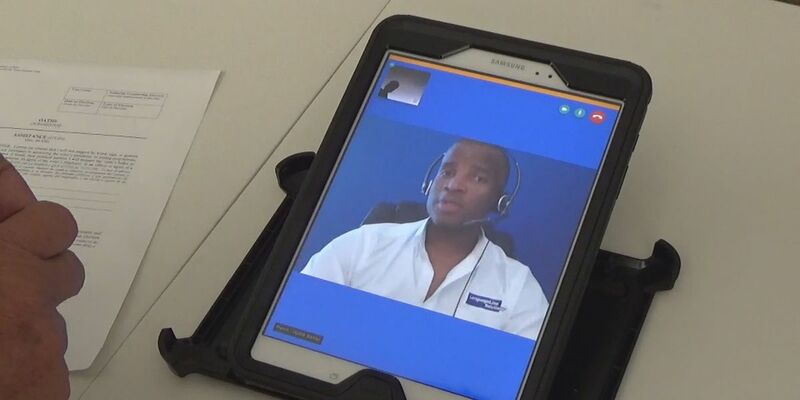 InSight is an example of a technology called video-remote interpreting (VRI). Potter County will be the first county in the state of Texas to adopt video interpreting in an effort to overcome language barriers that may arise at the polls. When a limited-English speaker shows up on Election Day in Potter County, they will be prompted to select their desired language from a tablet device. One touch later, a live, professional interpreter will appear. That interpreter will be sworn in by an election official, and together they will provide voting information to the individual. “The voter, the election official, and the interpreter go back and forth as if they were all in the same room,” Huntley said. Huntley hopes that using video interpreting will remove any stigma surrounding the voting process for non-English speakers. LanguageLine InSight will be used for early voting in Potter County on Oct. 22 as well on Election Day on Nov. 6. Access to a solution like InSight can have a profound impact on the voting experience and encourage greater participation from limited-English speakers. Using an on-demand language-access provider allows for instant coverage of more than 240 languages, including ones that are unanticipated on Election Day. Election officials are assured of working with a qualified, professional interpreter, as opposed to using a bilingual volunteer poll worker, who may have good intentions but inadequate language skills. Language access also has the potential to help reduce bottlenecks on a day when long lines can already be a problem. LanguageLine has more than three decades of experience helping election offices, schools, law enforcement, and thousands of other local, state, and federal government agencies provide meaningful language access to limited-English speakers, as well as the Deaf and Hard of Hearing. We invite you to learn more about the services we provide.